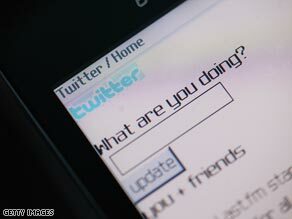 Scientists say updates on networking tools such as Twitter are often too quick for the brain to fully digest. The report, published next week in Proceedings of the National Academy of Sciences Online Early Edition, studied how volunteers responded to real-life stories chosen to stimulate admiration for virtue or skill, or compassion for physical or social pain. iReport.com: Growing pains for Twitter, Facebook? Brain scans showed humans can process and respond very quickly to signs of physical pain in others, but took longer to show admiration or compassion. "For some kinds of thought, especially moral decision-making about other people's social and psychological situations, we need to allow for adequate time and refection," said Immordio-Yang. She said the study raises questions about the emotional cost, particularly for young people, of heavy reliance on a torrent of news snippets delivered via TV and online feeds such as Twitter. She said: "We need to understand how social experience shapes interactions between the body and mind, to produce citizens with a strong moral compass." USC sociologist Manuel Castells said the study raised more concerns over fast-moving TV than the online environment. "In a media culture in which violence and suffering becomes an endless show, be it in fiction or in infotainment, indifference to the vision of human suffering gradually sets in." Research leader Antonio Damasio, director of USC's Brain and Creativity Institute, said the findings stressed the need for slower delivery of the news, and highlighted the importance of slow-burn emotions like admiration. Damasio cited the example of U.S. President Barack Obama, who says he was inspired by his father, to show how admiration can be key to cultural success. "We actually separate the good from the bad in great part thanks to the feeling of admiration. It's a deep physiological reaction that's very important to define our humanity." Twitter, which allows users to swap messages and links of 140-characters or less, says on its Web site that it sees itself as a solution to information overload, rather than a cause of it. This function, It says, "means you can step in and out of the flow of information as it suits you and it never queues up with increasing demand of your attention."